This feature allows you to check whether the people are present at the site. What is more, it can also be used for the people to show that they are on site prior to the shift start time. 1. Go to the System Settings -> Time & Attendance -> General, find setting Enable 'Send my location' for people' and switch it ON. 2. Once the setting is turned on the 'Send my location' button will become visible to staff if they open their shift. 3. 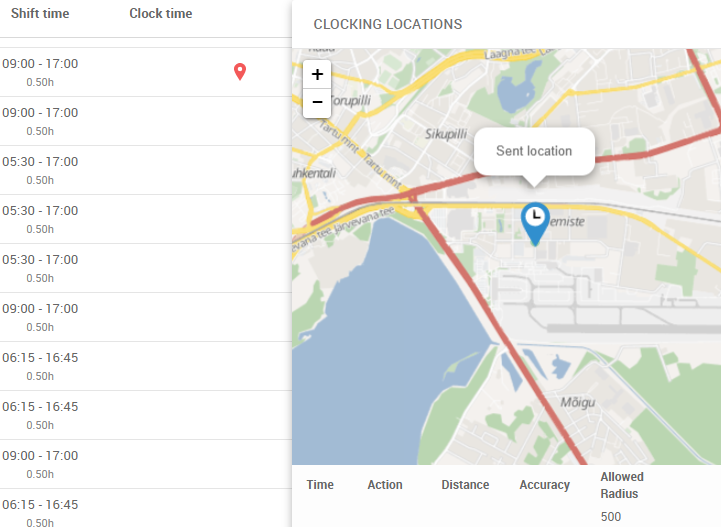 If the person presses on the 'Send my location' button their location will be sent to the Parim system and it will appear on the Time Clock page as a location pin. Click on the pin to open up more information. 4. 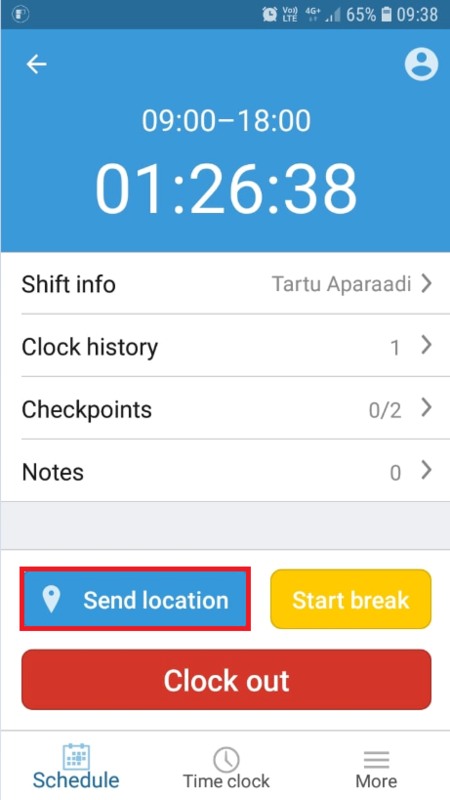 The 'Sent location' action will also be displayed on the Time Clock report. If you've got a question or would like to find out more, please write to us via the blue chat bubble on the bottom right-corner and we'll be happy to answer!